SFFILM has announced that Damien Chazelle’s remarkable film First Man is the 2018 recipient of the Sloan Science in Cinema Prize, an award that celebrates the compelling depiction of science in a narrative feature film. Presented through a partnership between SFFILM and the Alfred P. Sloan Foundation, this annual award carries a $25,000 cash prize and shines a light on special achievement in rendering the worlds of science and technology through the language of film with a screening event and onstage conversation with the film’s creators and experts in the scientific fields being depicted. 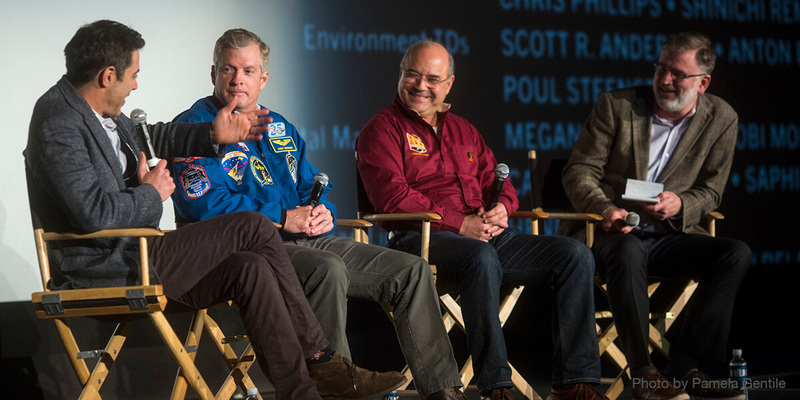 “The Sloan Foundation’s inspirational work in promoting science as a vehicle for human understanding finds a great match this year with First Man,” said SFFILM Executive Director Noah Cowan. “By deftly intertwining Neil Armstrong’s story of personal pain and loss with the inner workings of NASA’s most famous mission, gifted screenwriter Josh Singer, adapting James R. Hansen’s legendary biography, brings a remarkable sense of humanity and humility to this landmark achievement." To request press access to this event or to inquire about interview opportunities, contact bproctor@sffilm.org. SFFILM is a nonprofit organization with a mission to champion the world's finest films and filmmakers through programs anchored in and inspired by the spirit and values of the San Francisco Bay Area. Presenter of the San Francisco International Film Festival (April 10–23, 2019), SFFILM is a year-round nonprofit organization delivering screenings and events to nearly 75,000 film lovers and media education programs to more than 12,000 students and teachers annually. In addition to its public programs, SFFILM supports the careers of independent filmmakers from the Bay Area and beyond with grants, residencies, and other creative development services. For more information visit sffilm.org.